Herald of the Star, The. Social, Educational, Religious, Humanitarian, etc. 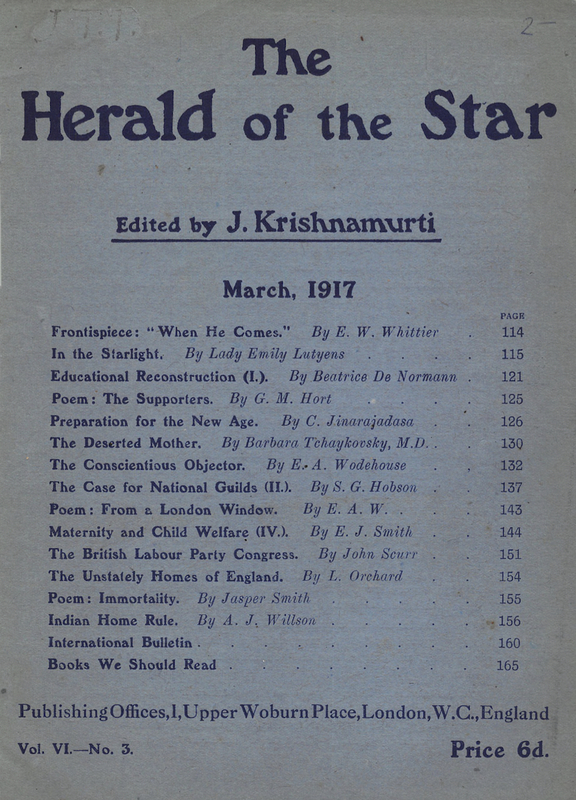 The official international organ of the Order of the Star in the East, the organization begun to promote the coming world teacher, Krishnamurti. It ceased shortly after Krishnamurti's rejection of organized spiritual instruction under his leadership.